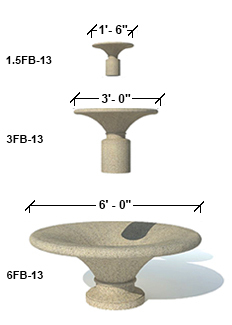 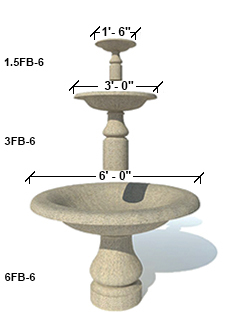 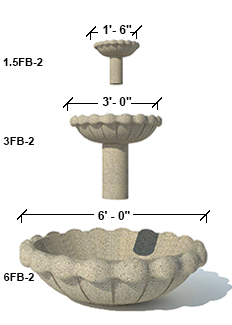 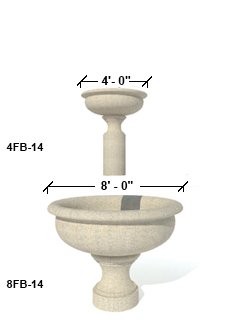 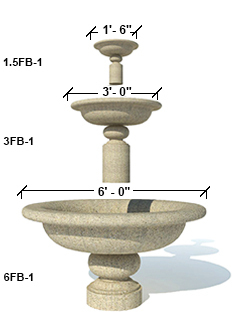 Our Standard Fountains are precast concrete and available individually or tiered. 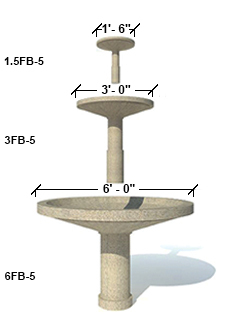 They range in size from 1.5′ to 8′ diameter. 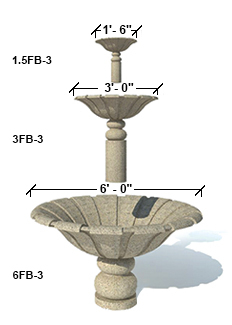 See Shop drawings for dimensions and installation details. For custom designs, submit details to us for pricing or design help. 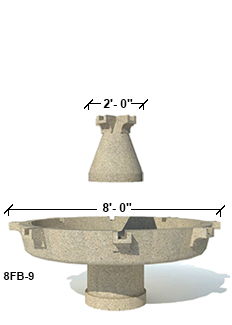 Lighter weight which reduces cost for handling equipment and installation. 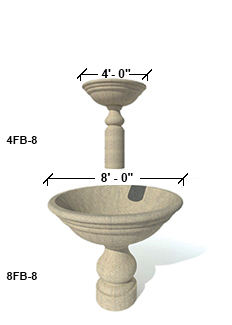 Not susceptible to staining or chlorine. 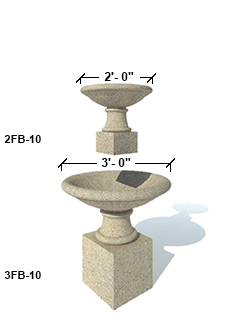 Not affected by a freeze thaw environment.